There’s a reason why children grow up playing puzzles and games, it’s because our brains love figuring things out, strategising and competing. Even at a young age, we strive to build our knowledge and experience by solving puzzles and winning games. As a child it might have been jigsaws, shape puzzles, or word searches that took up your time. Or maybe you loved playing games like Monopoly, charades or hide and seek. Whatever kind of games you were playing, or whatever puzzles you were solving – your brain enjoyed the thrill, and enjoyed the satisfaction of completing it. Sudoku – Maths puzzle that adults all over the world love. Candy Crush – a digital game that was one of the most download apps of all time. Computer games and consoles – immersing games with plots and storylines popular with adults just as much as children! The latest trends in games and puzzles for adults has to be escape rooms and VR experiences. Escape rooms and VR experiences are a fun, immersive way of being inside a puzzle, and having to use pure brain power to get out and solve it. The benefits of these experiences don’t end at socialising though! These experiences increase your brain’s ability to problem solve and puzzle solve. It’s an active experience that needs you to be engaged, and therefore makes your brain works a little harder than usual. In an escape room or during a VR puzzle – you have to focus and concentrate in order to successfully complete it – and it tugs on the similar reasons we loved puzzles and games as a child. We feel the satisfaction, and the competitiveness from our childhood, and suddenly we’re improving our brain functions whilst having fun too! Peter Gray, a research professor at Boston College claims that “basic mental processes — such as perception, attention, memory, and decision-making.” all improve when you play video games, and this concept can similarly be applied to VR experiences and escape rooms too. We have to be so much more alert when enjoying these experiences, that our brain’s capacity for perception, attention, memory and decision-making has to expand. 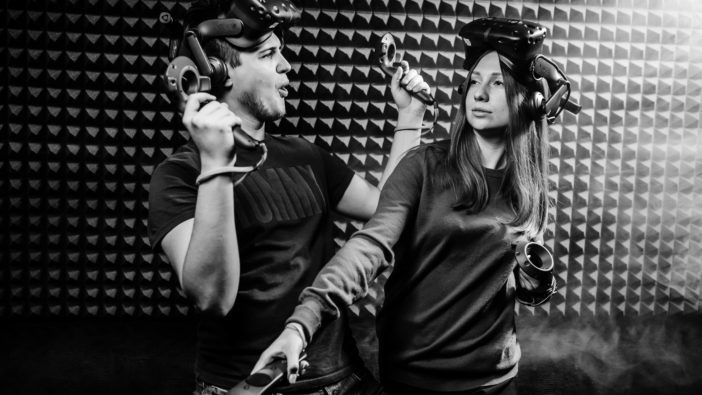 Escape rooms and VR experiences are hugely popular with adults and children because they provide a super fun, highly entertaining experience that can bond people together and form positive relationships too.